Every house needs one of these home monitoring systems. 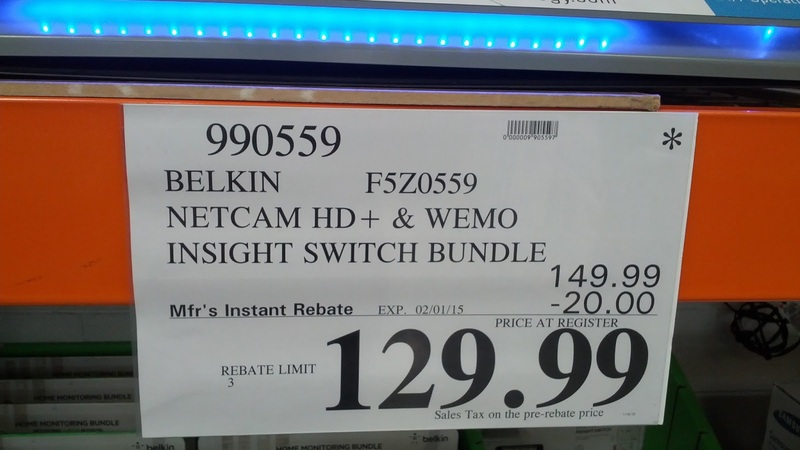 This bundle includes both the Belkin F5Z0559 Netcam (webcam) and the WEMO Insight Switch. Here's how you would use your bundle. 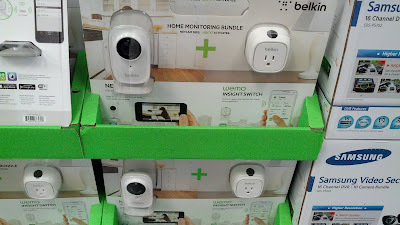 First, the Belkin Netcam is your webcam which you would use to see what's going on in your home while you're away. Say you're on vacation and no one is around and you want to make sure nothing has happened to your house or if you're at work and you want to make sure your pets are ok or your kids are doing fine (and doing their chores and homework). You don't even need to be in front of your computer since you can just check the live video feed on your mobile device or tablet. Second, the WEMO Insight Switch lets you turn certain lamps or lights on when it detects motion. This is useful when you come home late at night and you don't want to be tripping over anything trying to find a light switch. This bundle is just so practical for every home, and it's perfect that Costco has it with an instant rebate. The Belkin Webcam and WEMO Switch Bundle allows you to monitor your home when you're away. Get the Belkin Netcam and WEMO Insight Switch Home Monitoring Bundle deal with instant rebate at Costco. Great by themselves, even better together. Keep an eye on what matters most with NetCam. Use WEMO Insight to control your appliances while managing their usage and cost. 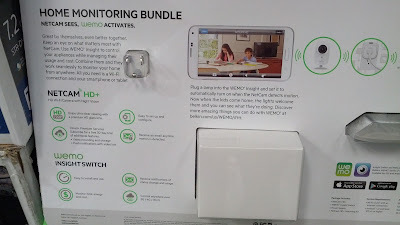 Combine them and they work seamlessly to monitor your home from anywhere. All you need is a Wi-Fi connection and your smartphone or tablet. Plug a lamp to the WEMO Insight and set it to automatically turn on when the NetCam detects motion. Now when the kids come home, the lights welcome them and you can see what they're doing.